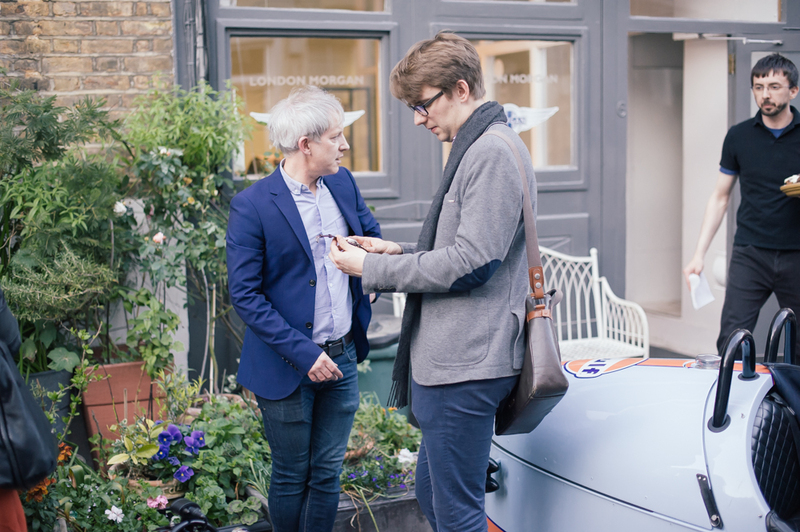 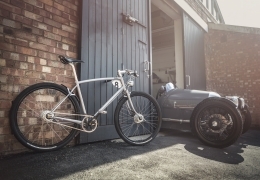 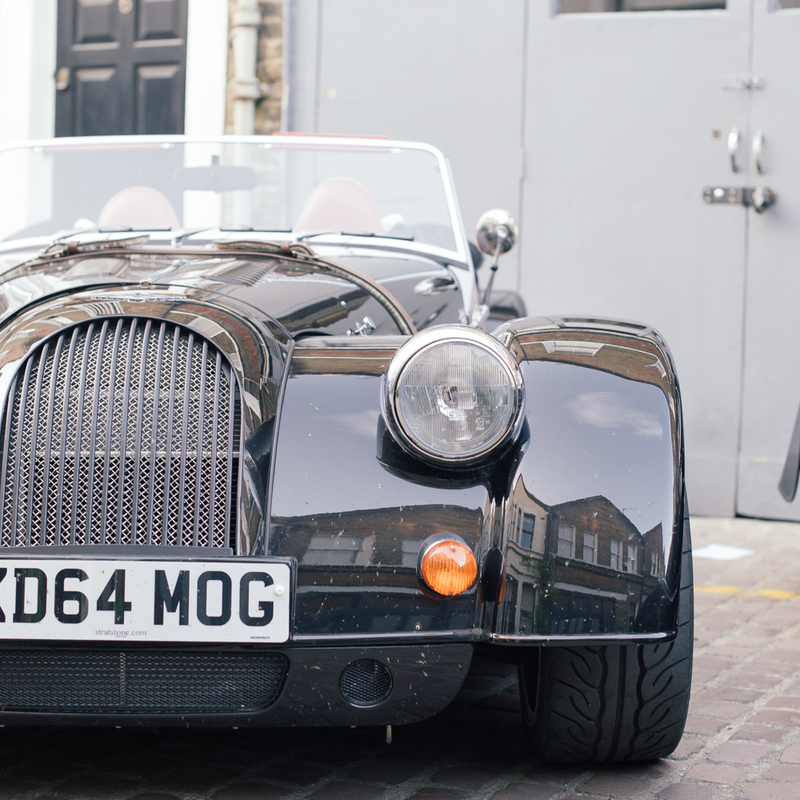 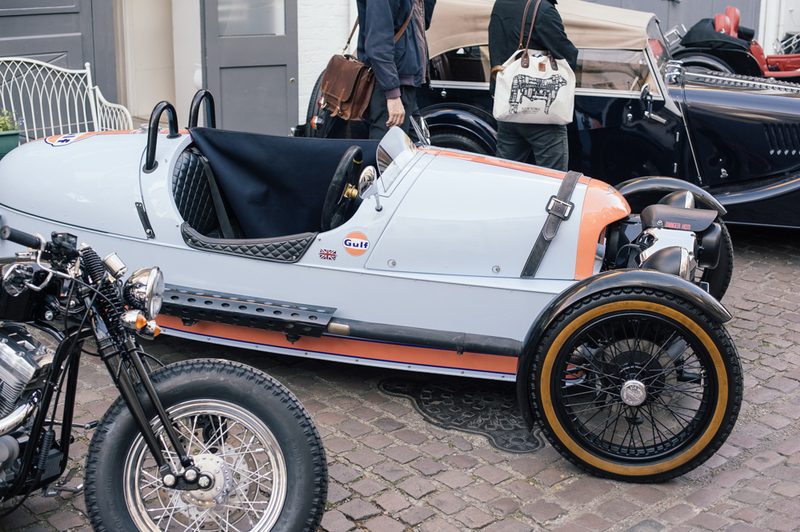 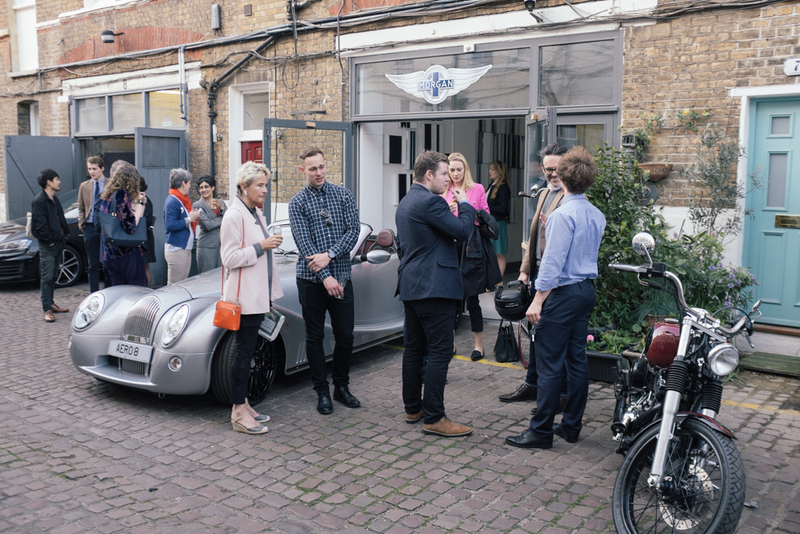 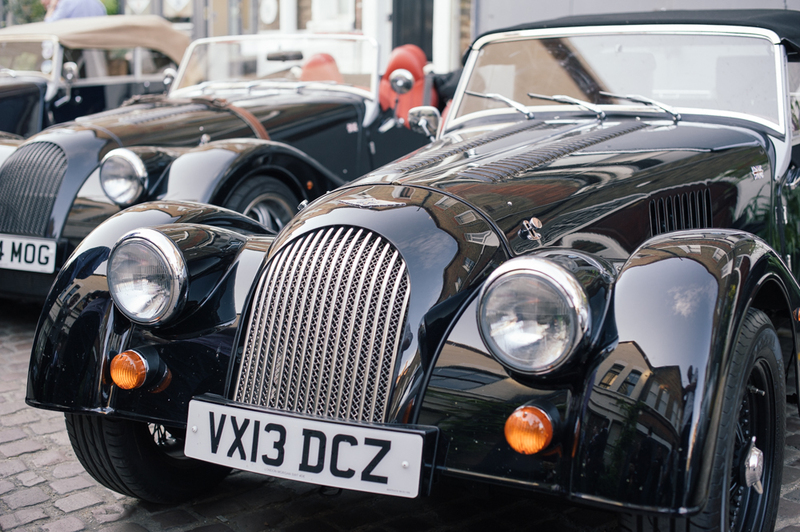 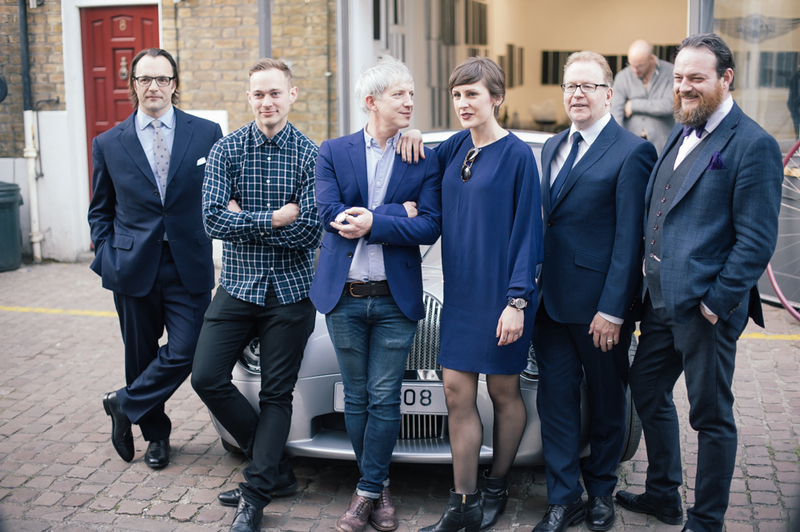 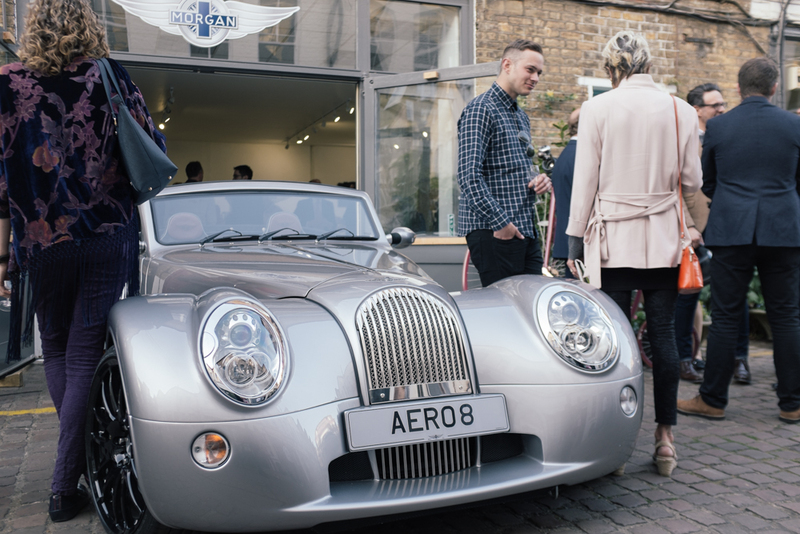 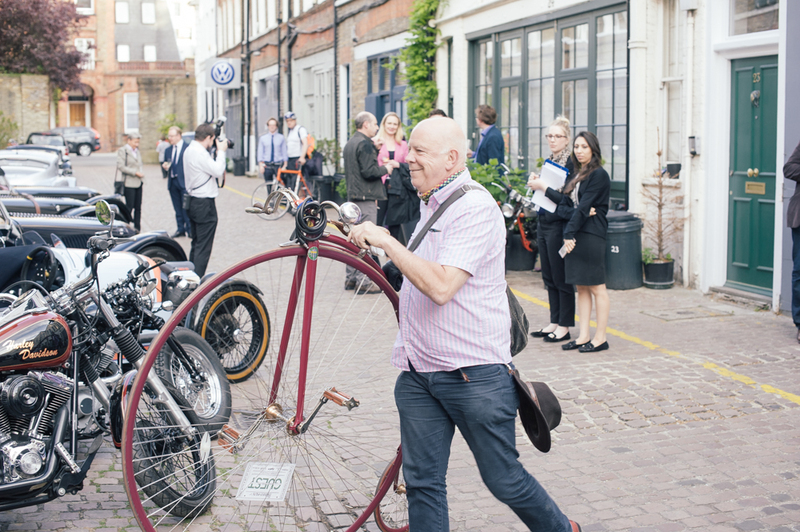 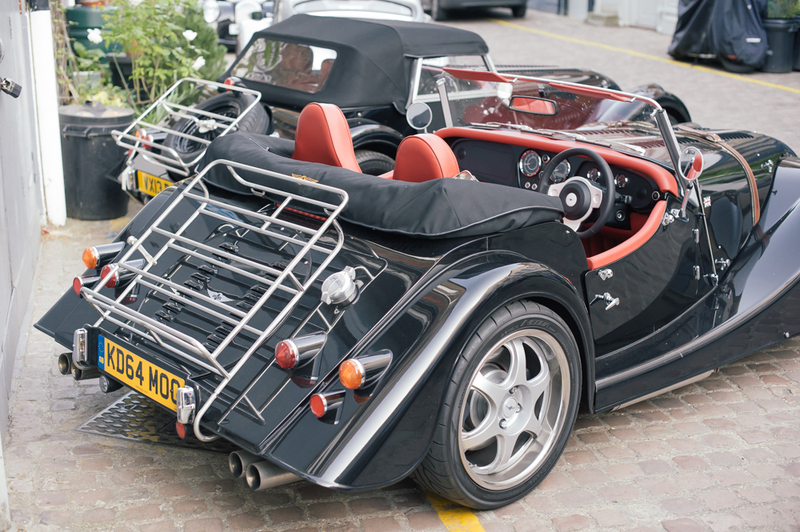 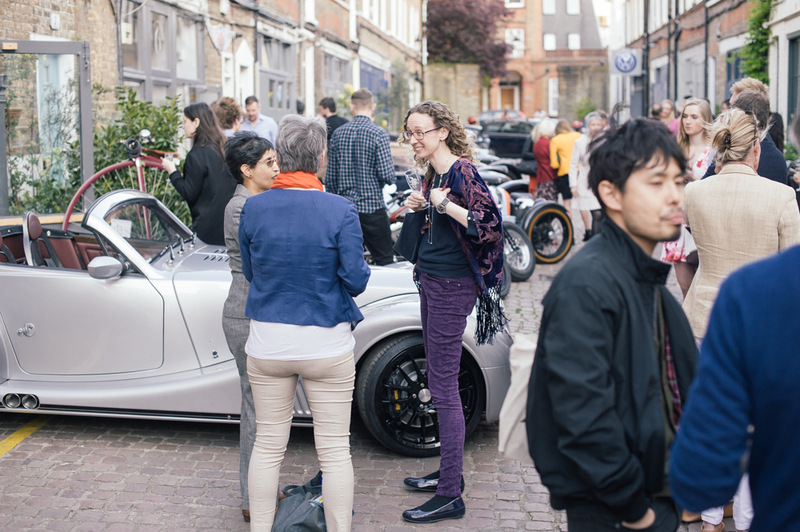 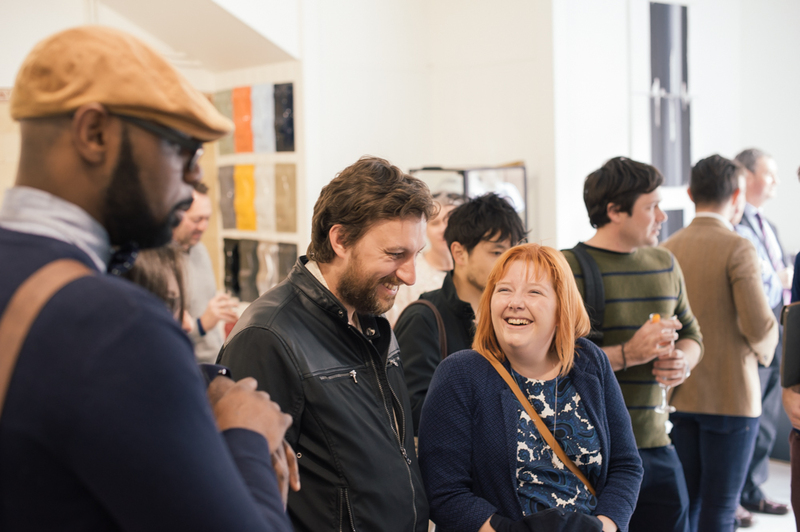 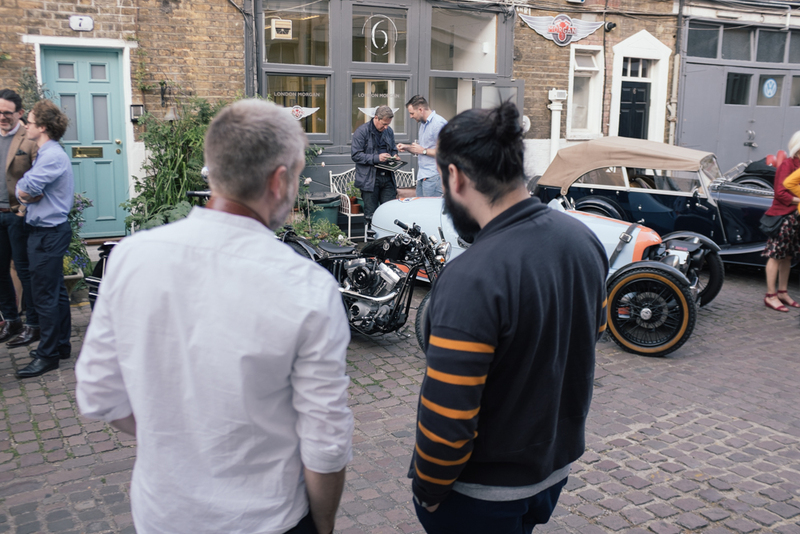 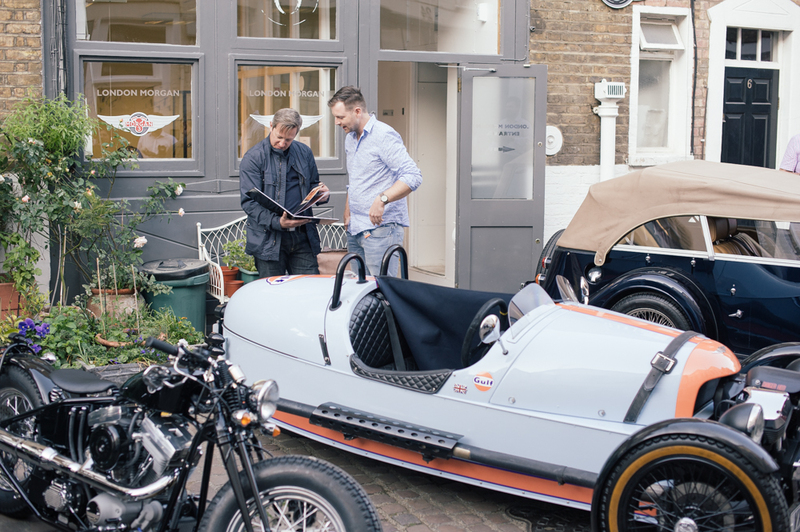 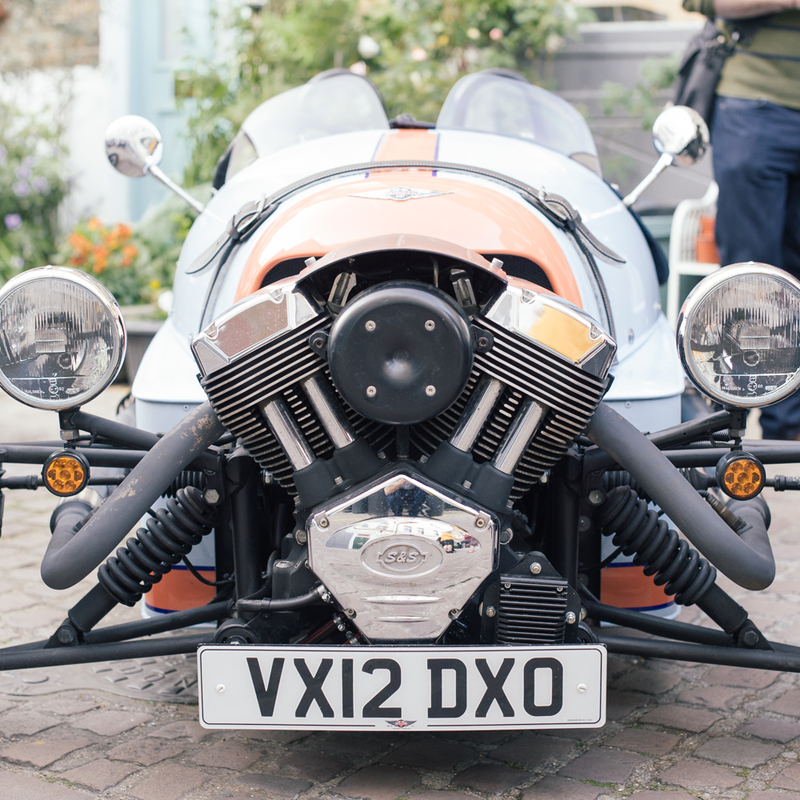 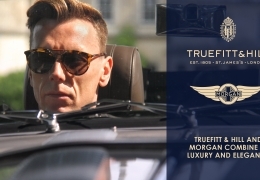 On Thursday 21st May, Struthers London and the Morgan Motor Company proudly launched their new Aero 8 watch at the Kensington based Morgan dealership, London Morgan. 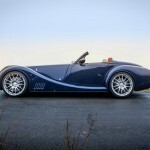 The new watch signals an extension to the collaboration between the two companies and is the second Morgan limited edition piece to be crafted by the British watchmakers. 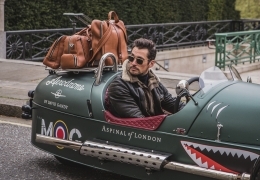 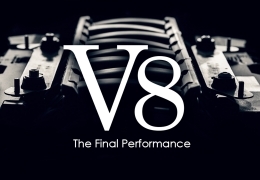 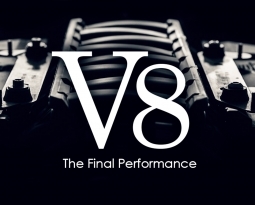 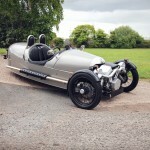 The Struthers for Morgan II (SfMII) has been created as a homage to the new Morgan Aero 8 and is exclusively available in 18ct white gold and limited to eight pieces worldwide. 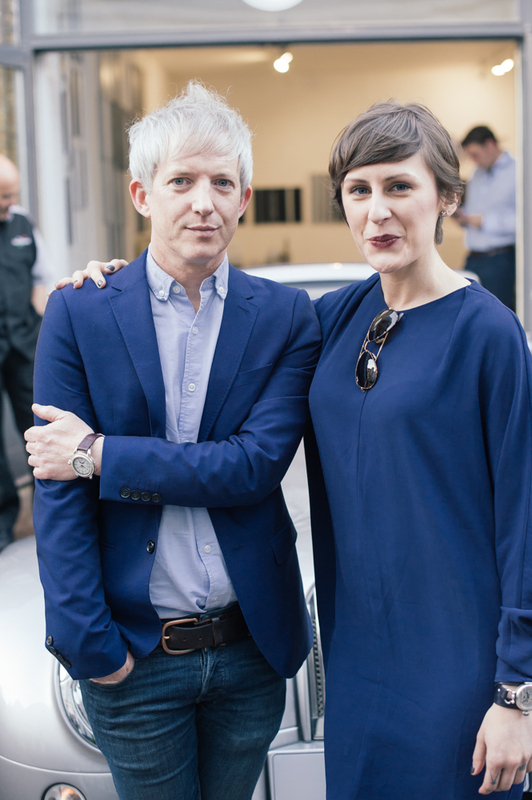 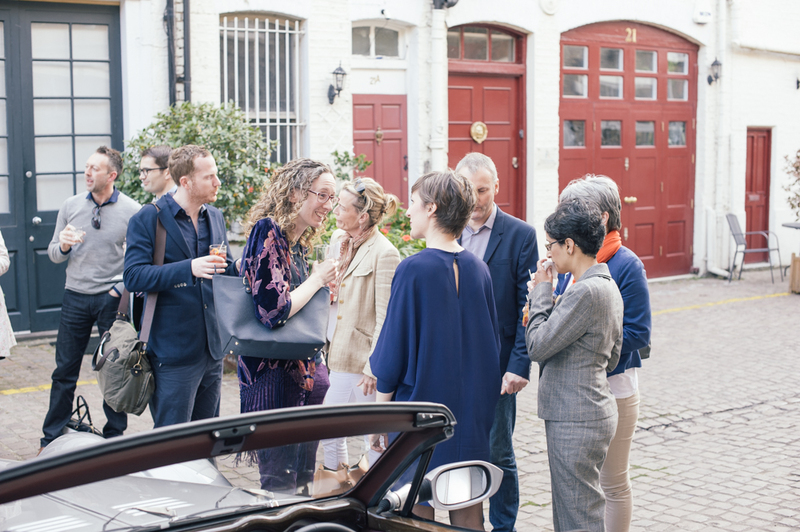 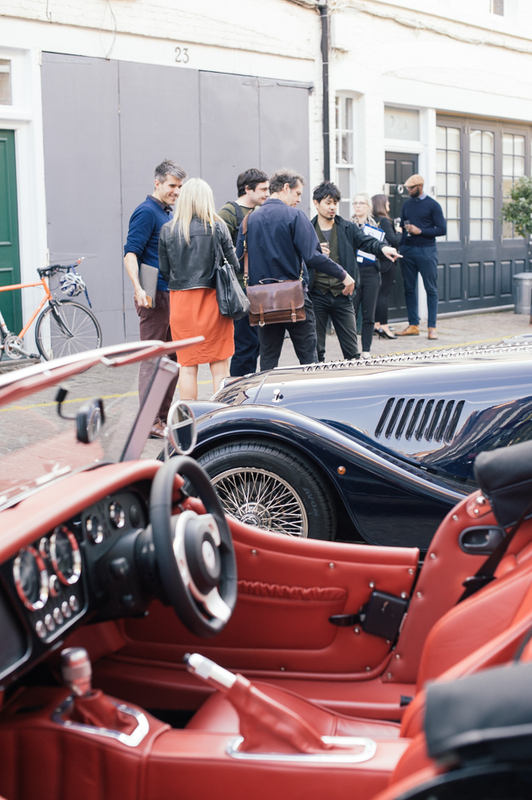 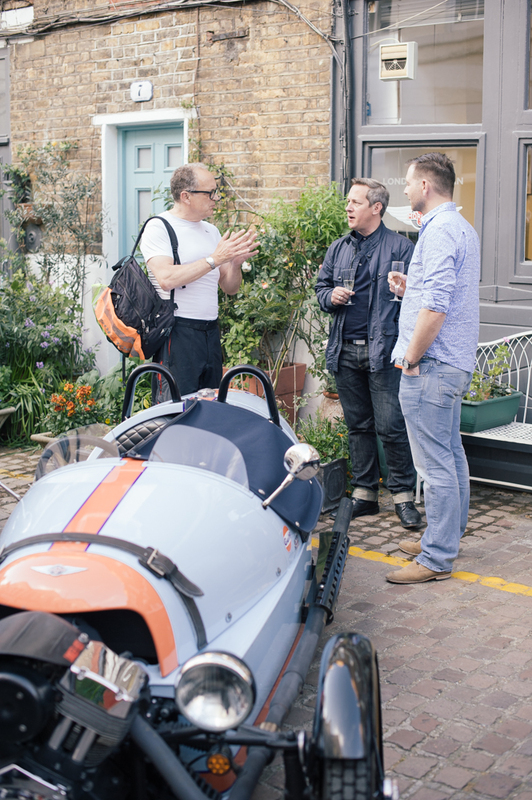 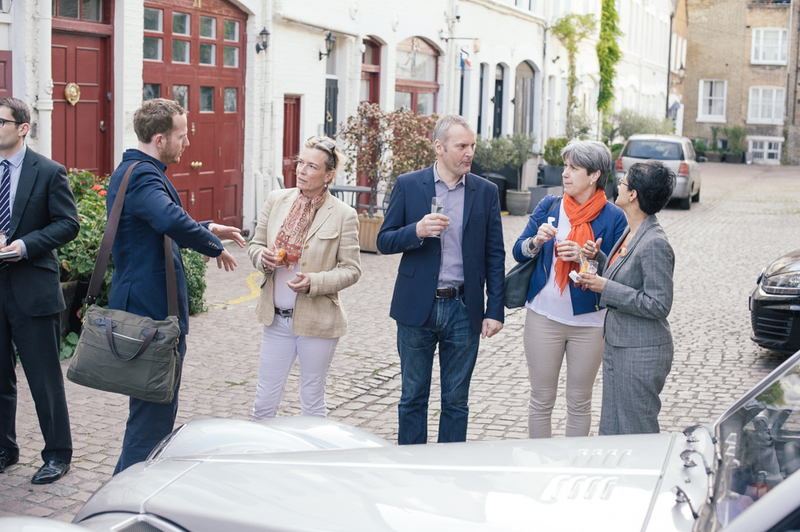 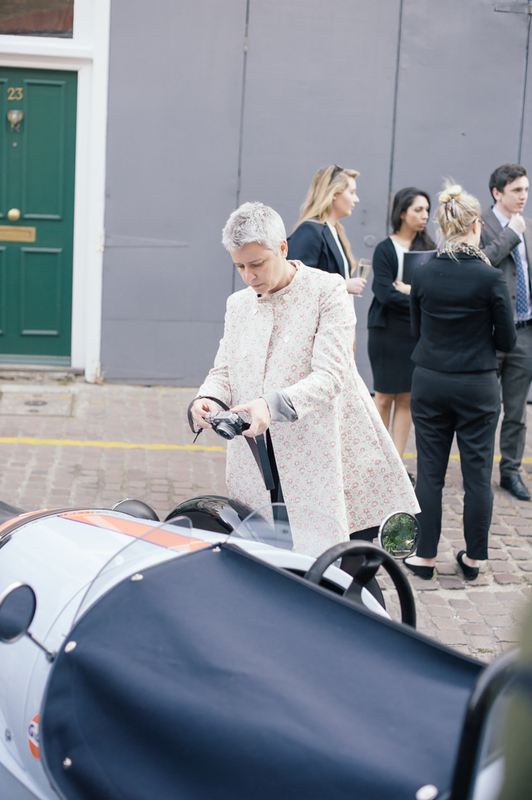 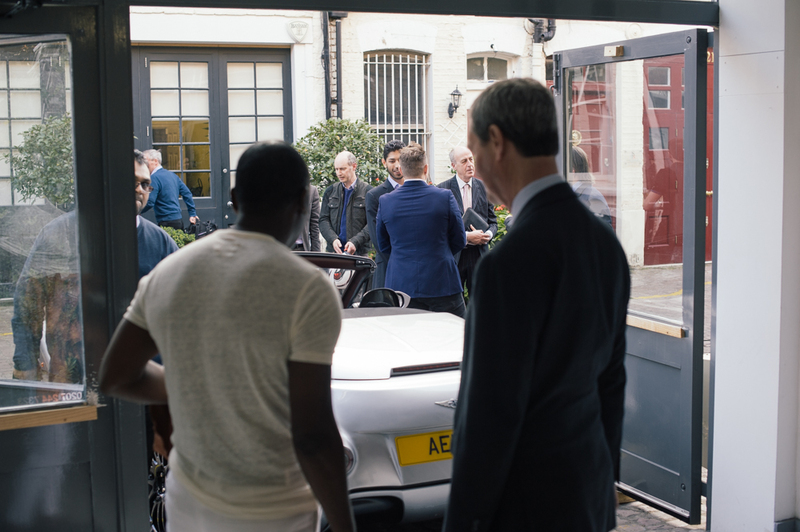 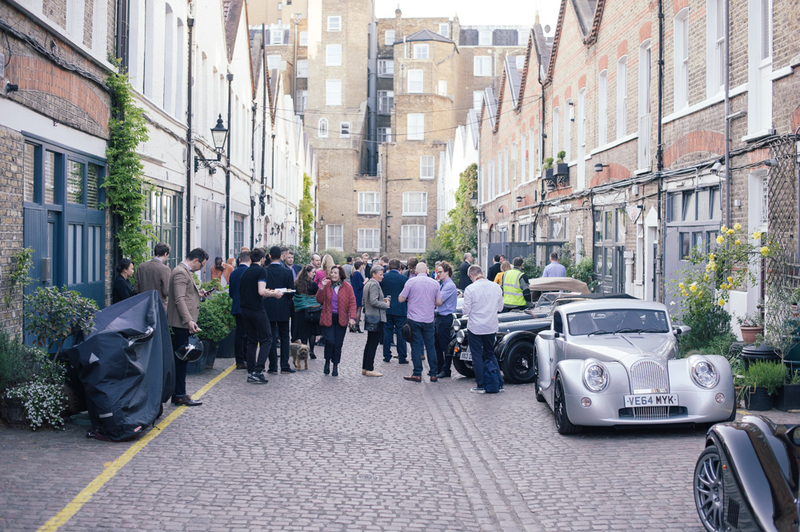 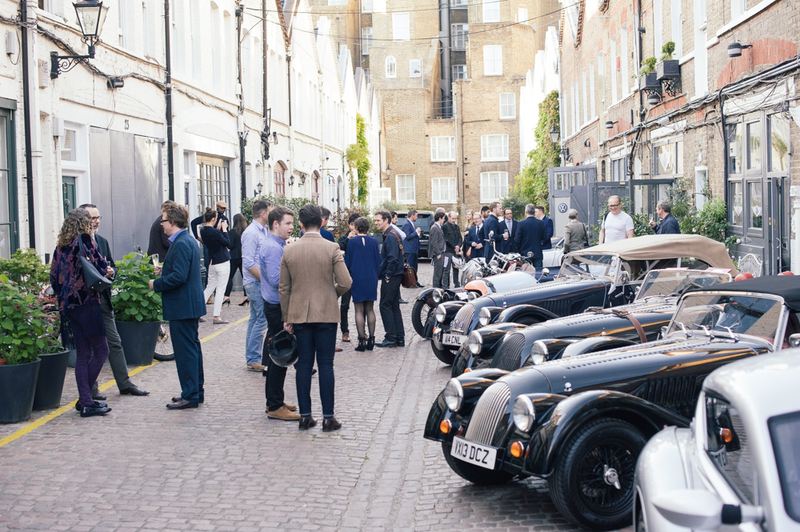 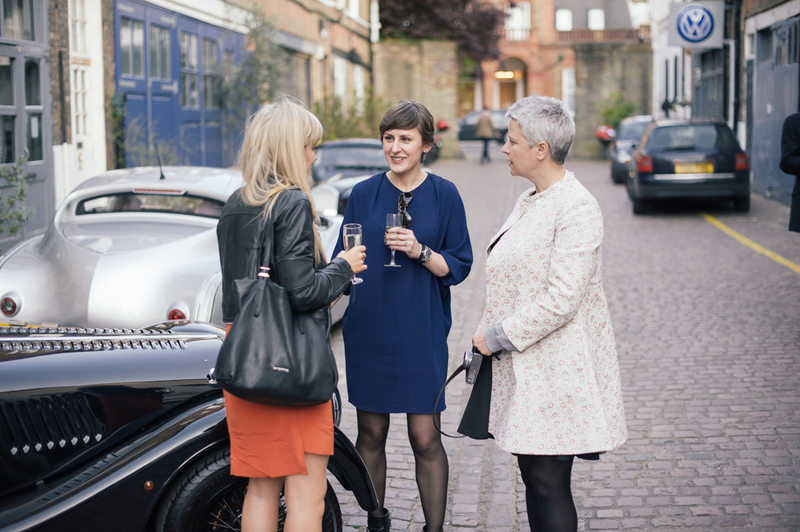 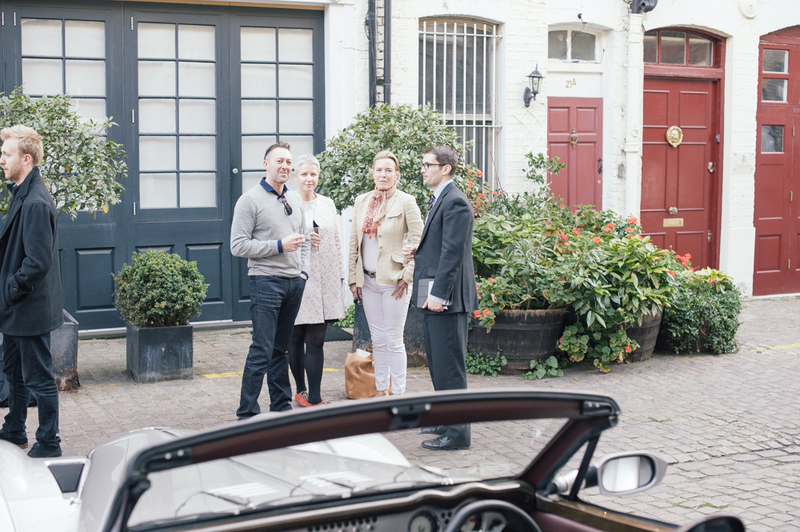 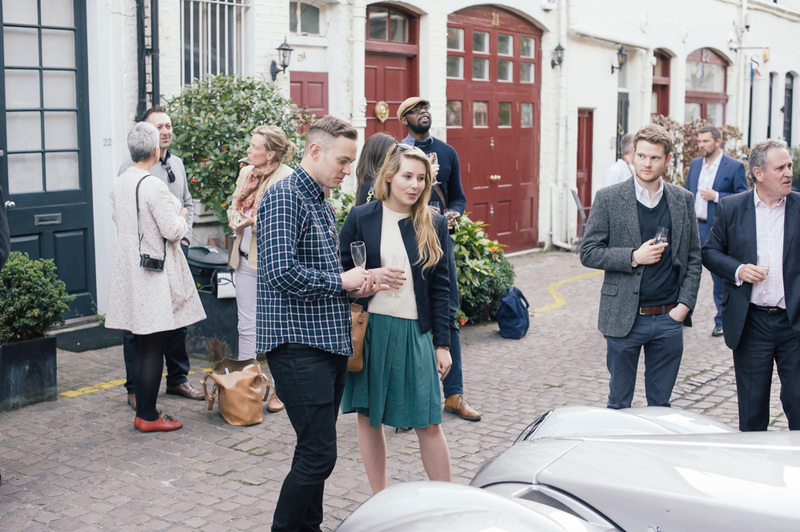 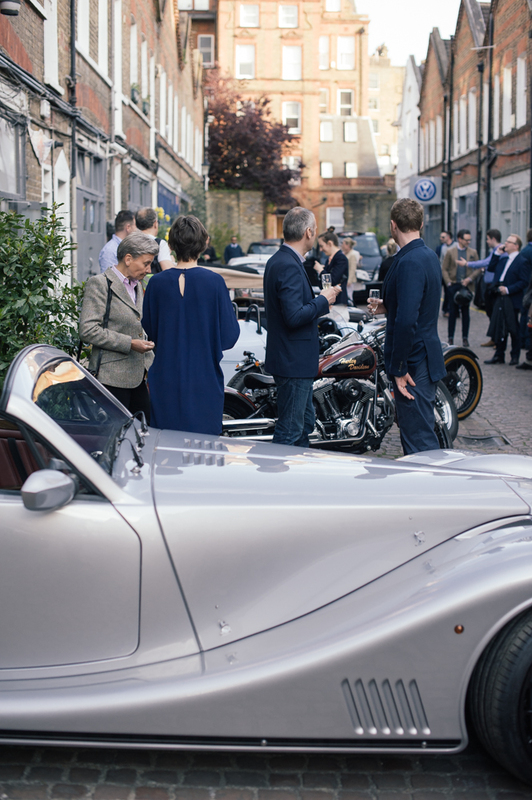 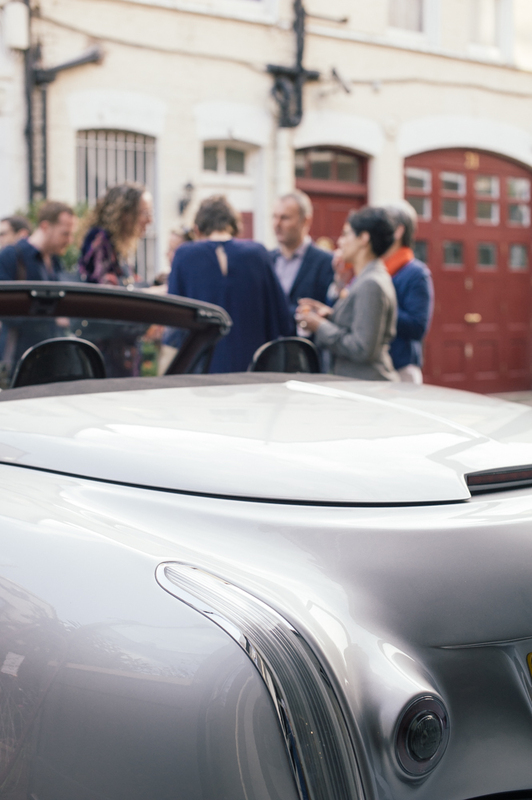 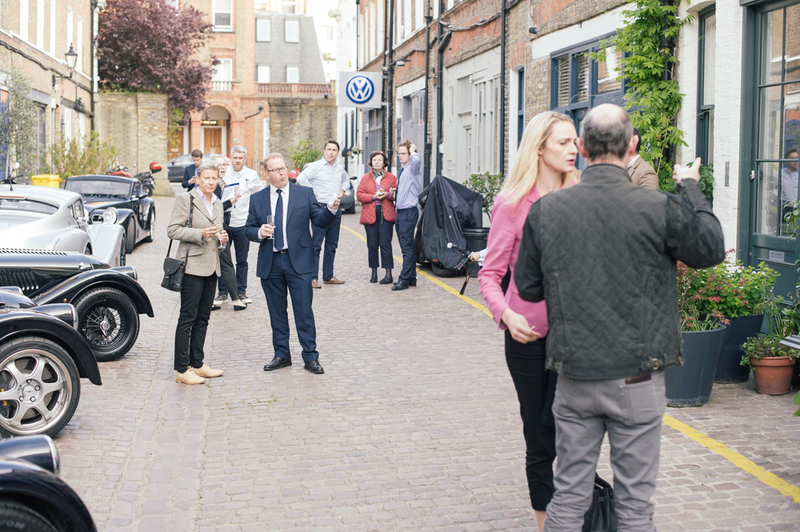 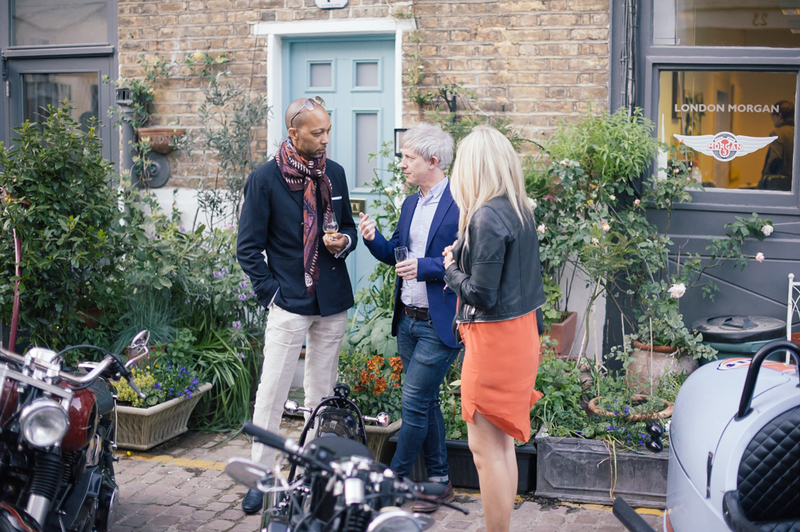 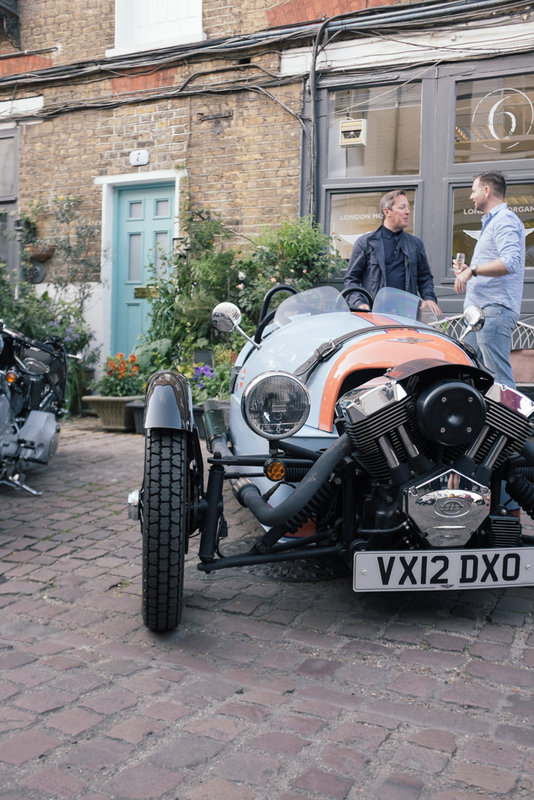 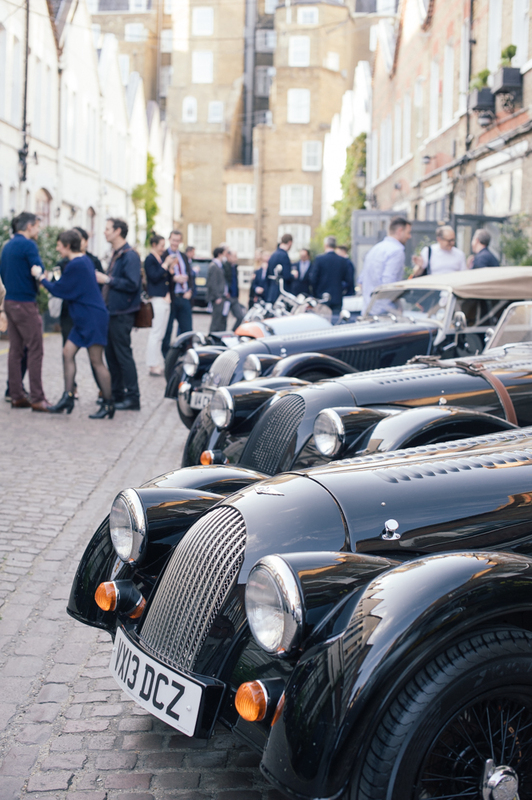 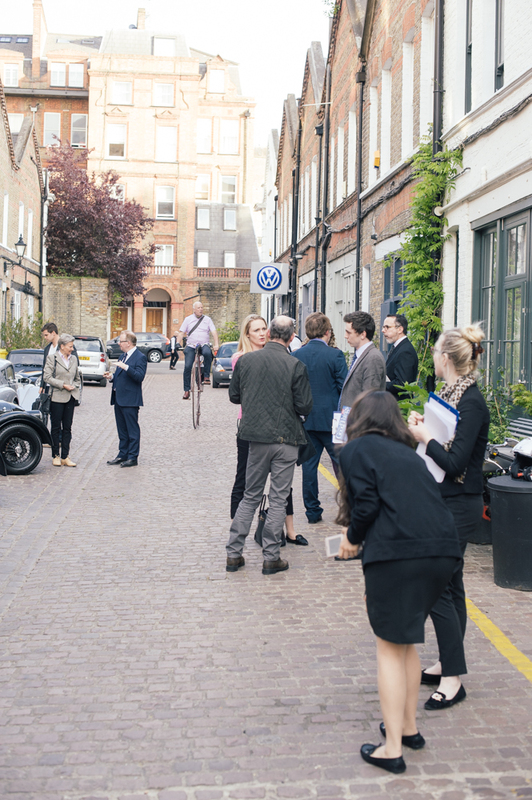 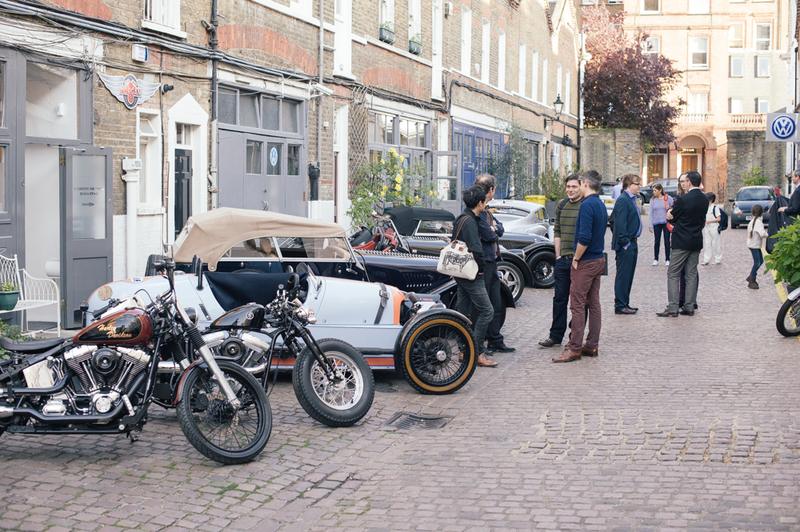 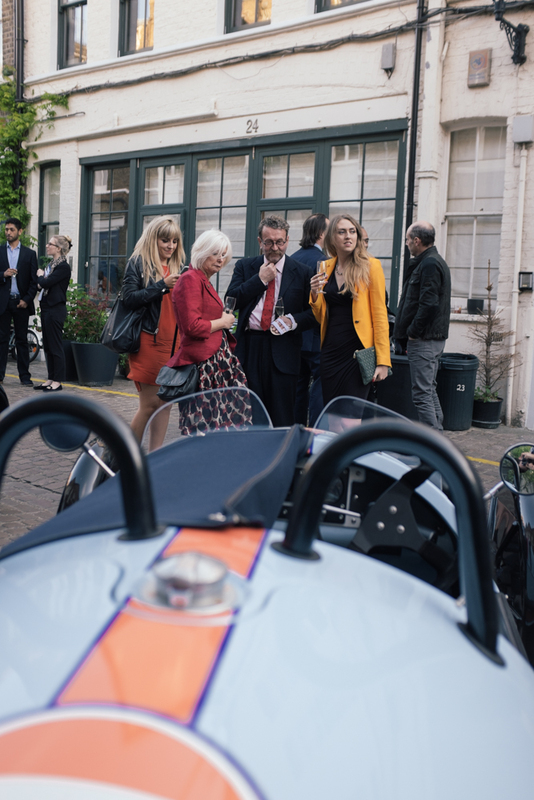 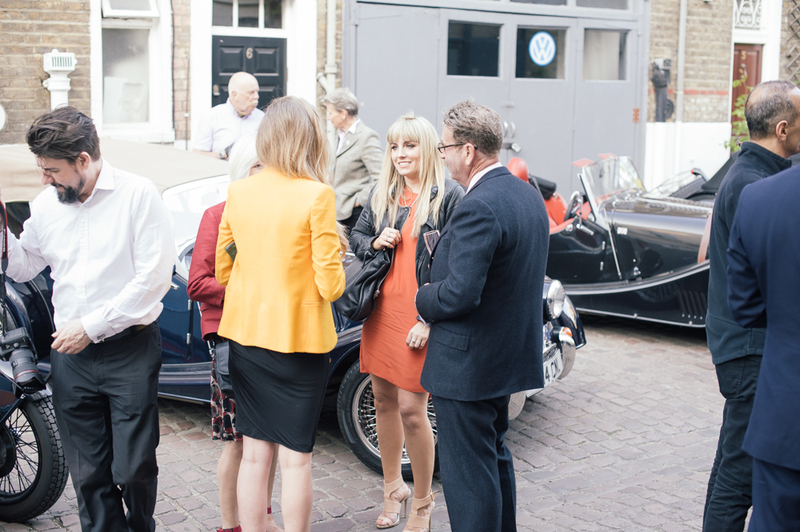 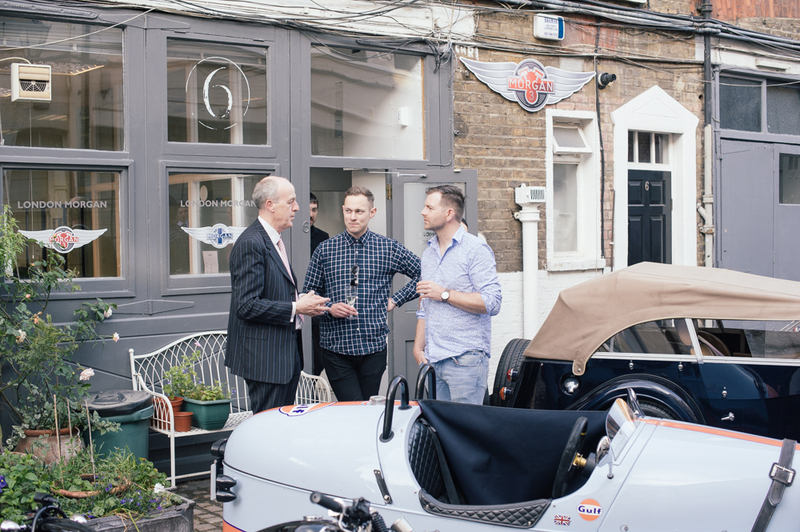 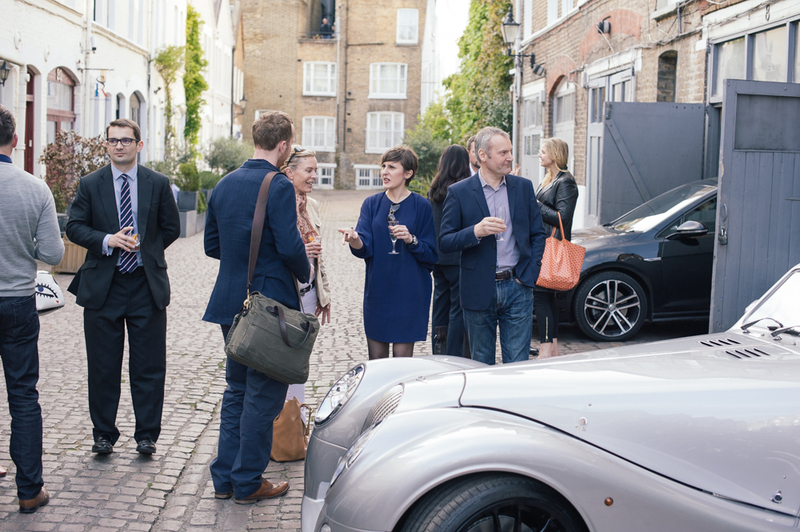 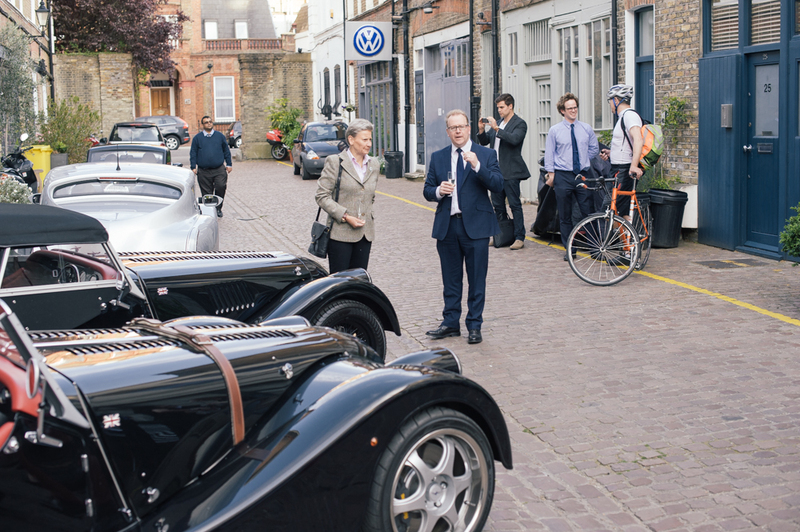 The perfect combination of stunning watches and the finest automobiles was only enhanced by the beautiful evening sunshine that engulfed the Astwood Mews base of London Morgan. 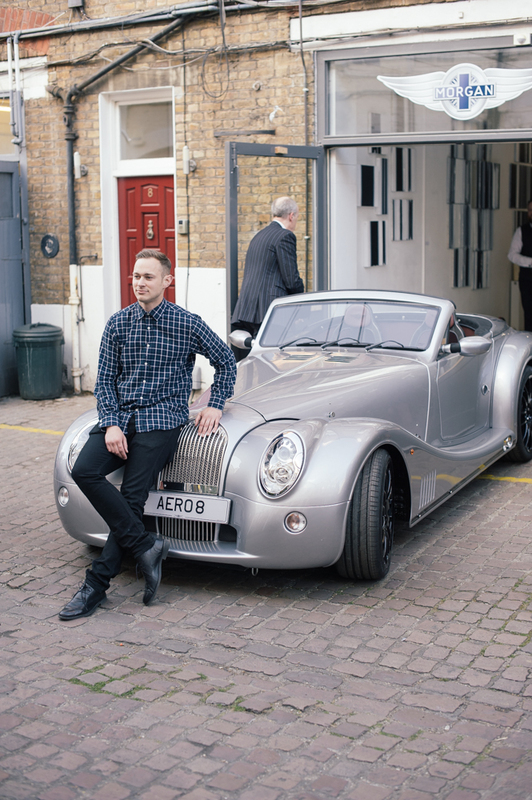 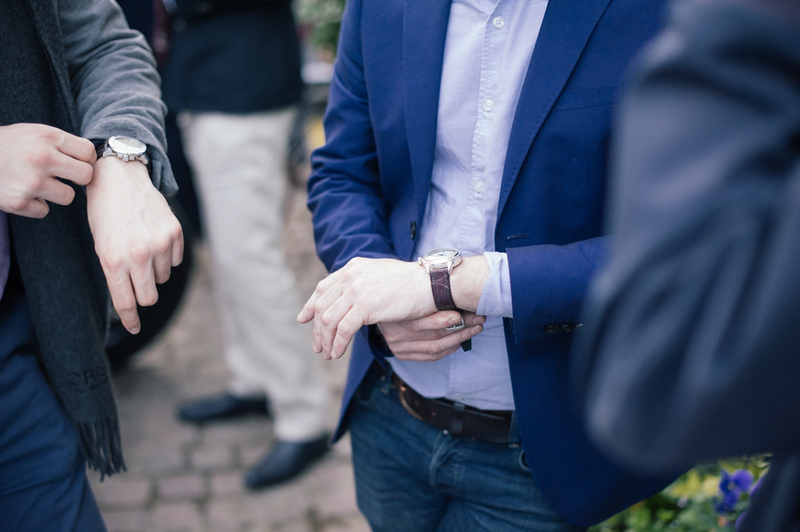 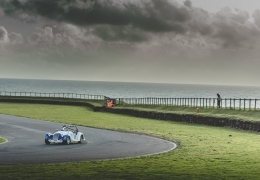 With the full Morgan model range on display, visitors were also treated to a private viewing of the new Aero 8, the car that the new watch draws inspiration from. 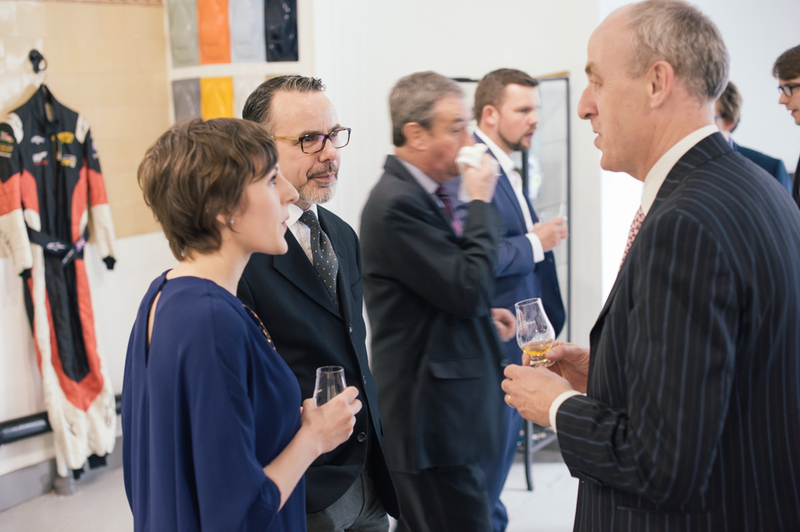 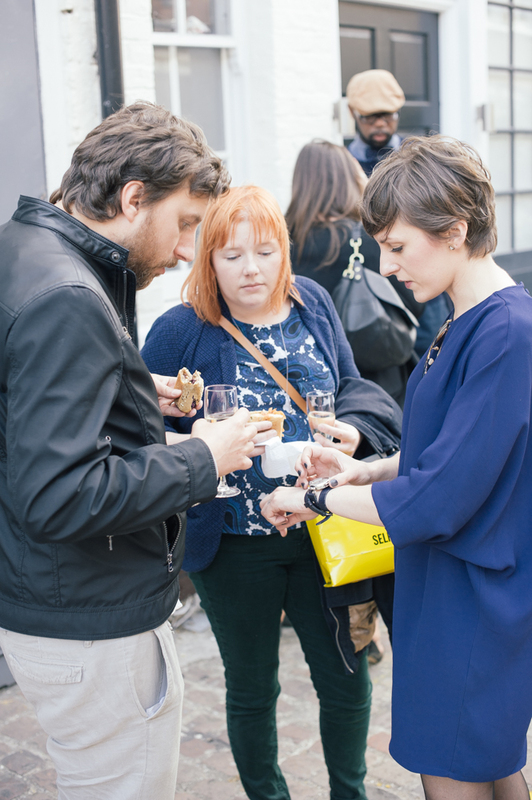 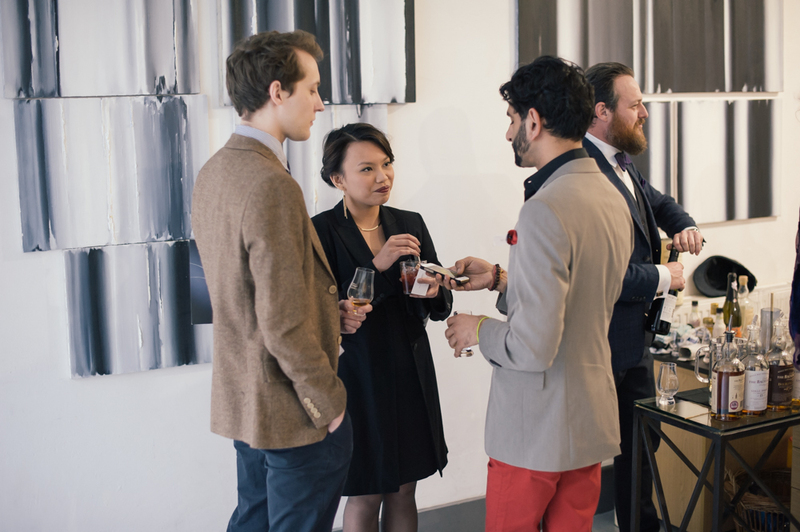 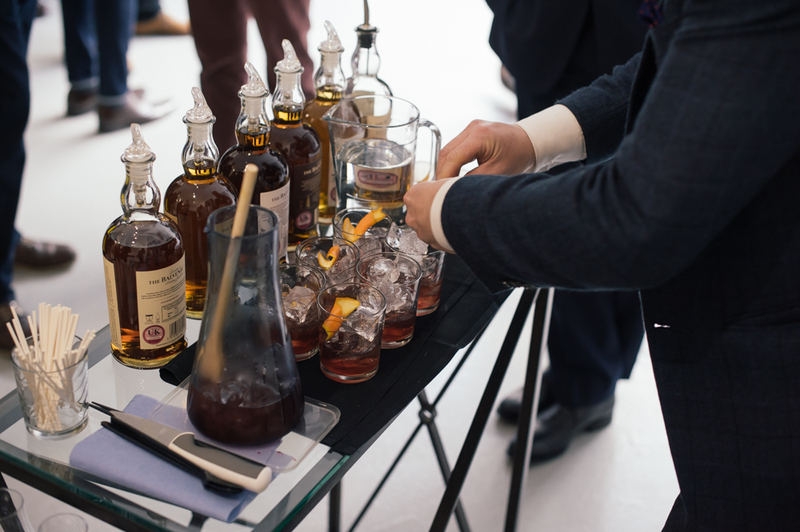 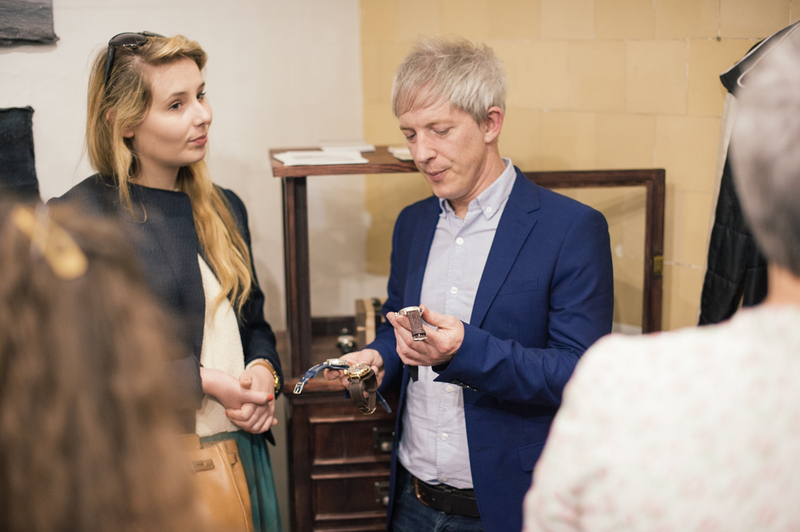 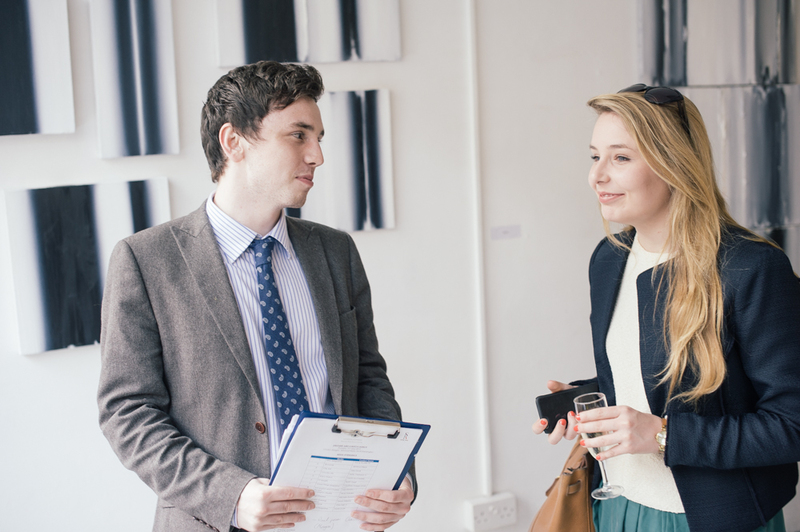 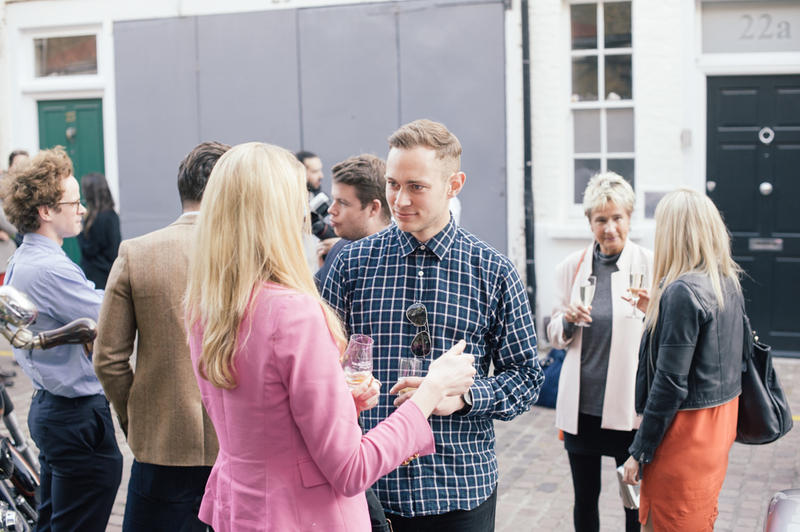 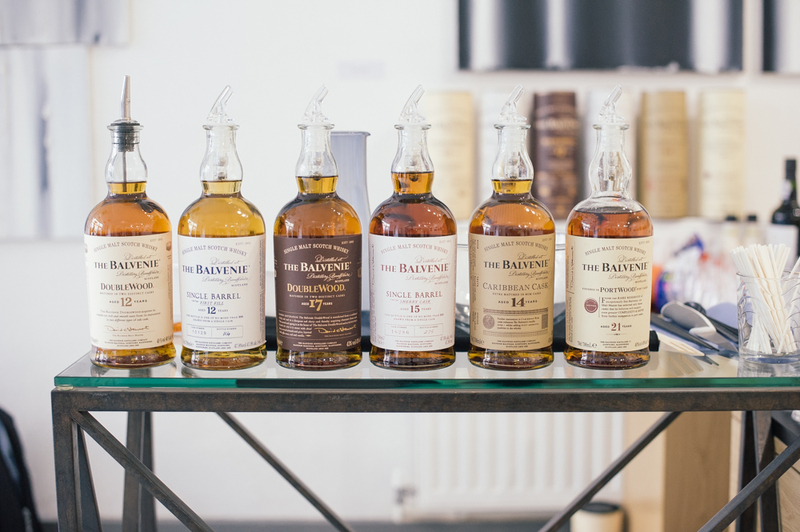 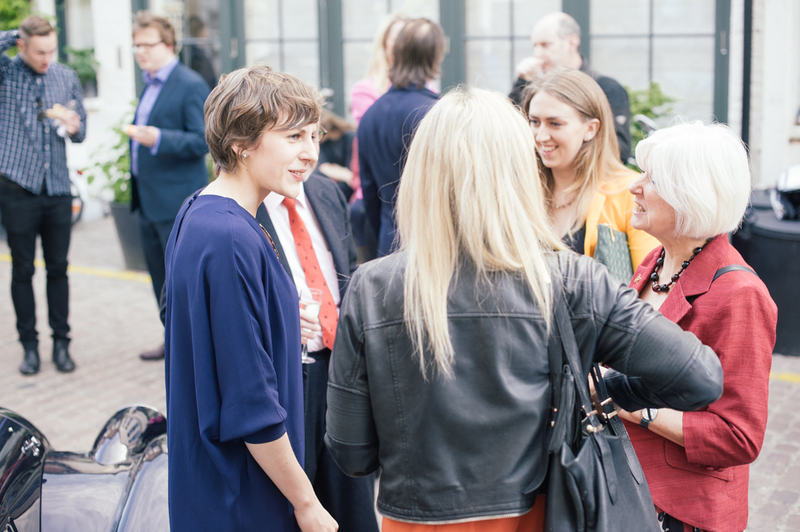 Drinks were kindly provided by The Balvenie and their Ambassador James Buntin who worked tirelessly all night to ensure guests remained refreshed with the finest Scottish Whisky. 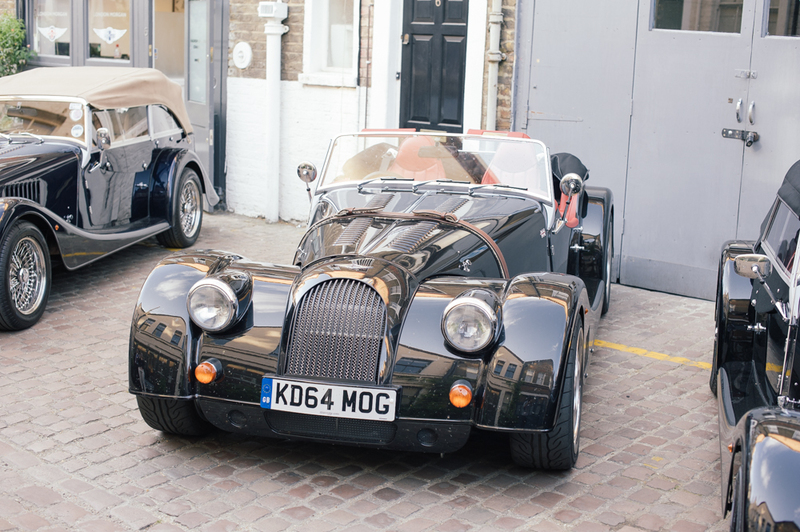 Just like every Morgan car, each watch is hand-built to order using a combination of state of the art technology and traditional craftsmanship methods. 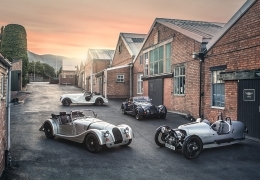 Similar to the existing Officer’s and Field Trench for Morgan models, the new SfMII will house a recomissioned vintage Omega base calibre, with customisations now including wandering seconds and a greater of choice for customised hand-finishing. 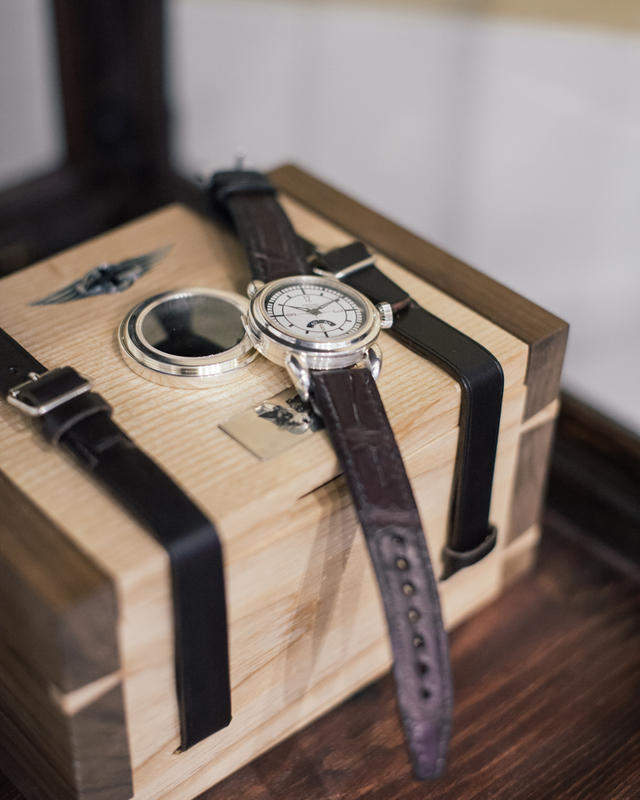 The solid 18ct white gold case features hand-engraved Morgan wings and limited edition serial numbers discreetly located within an outer hinged back, which swings open to reveal the movement hidden beneath a sapphire crystal inner case back. 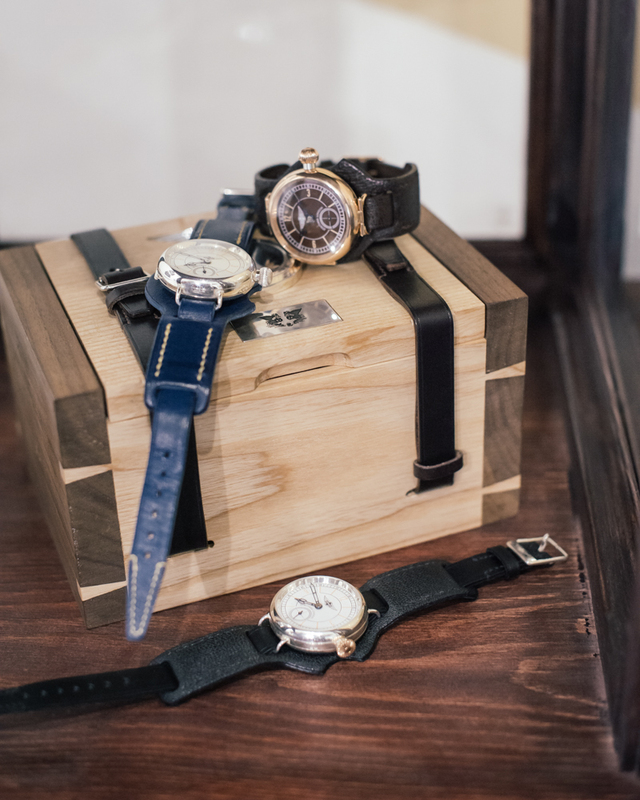 The dials are hand-turned from 18ct white gold by the Struthers in-house. 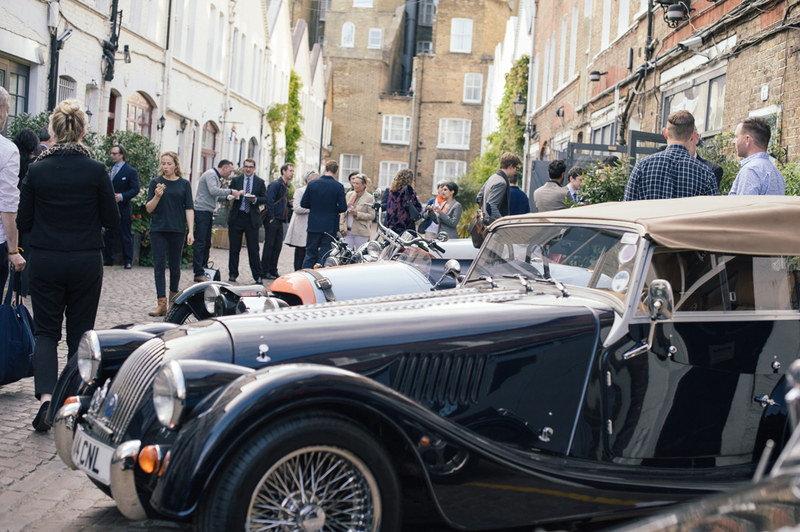 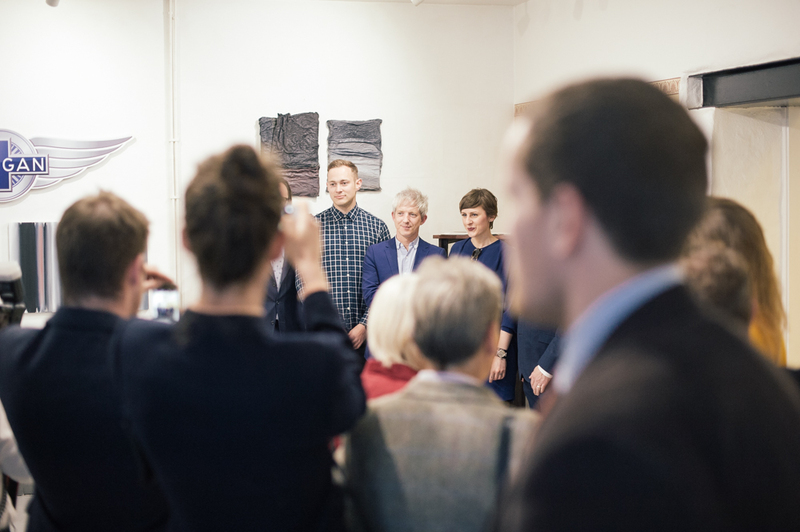 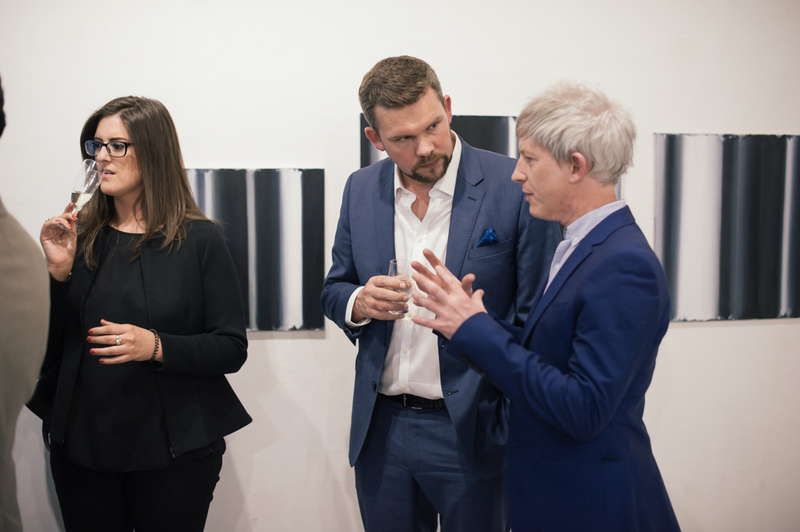 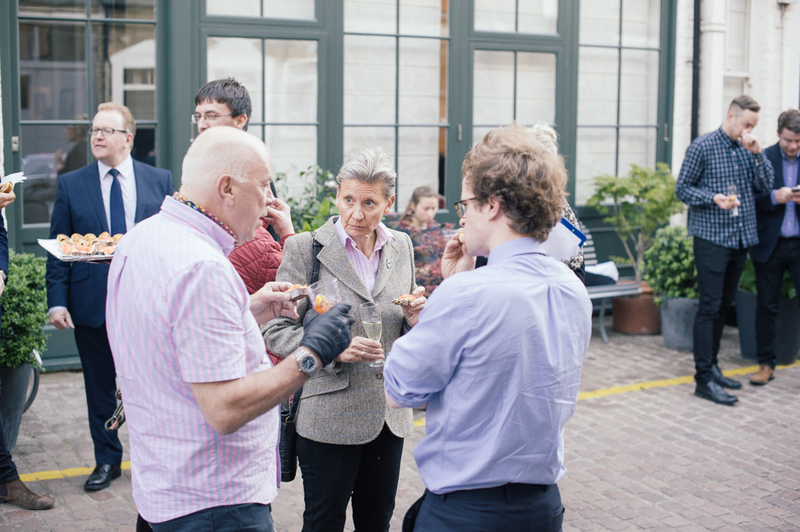 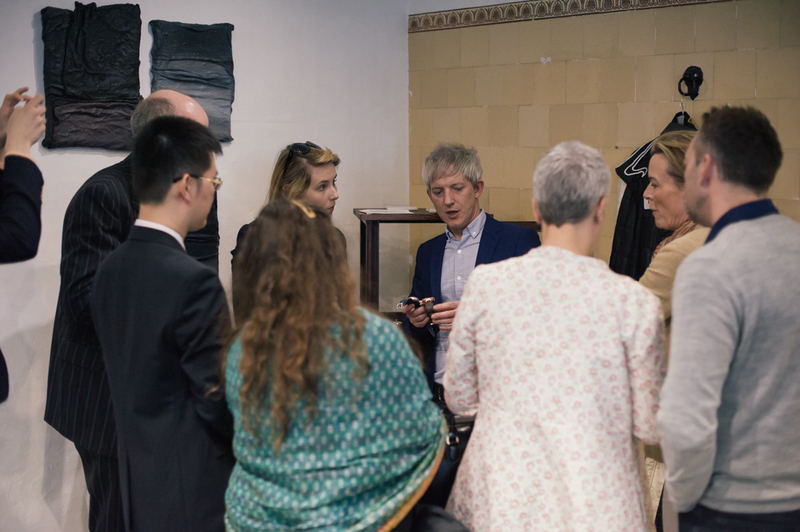 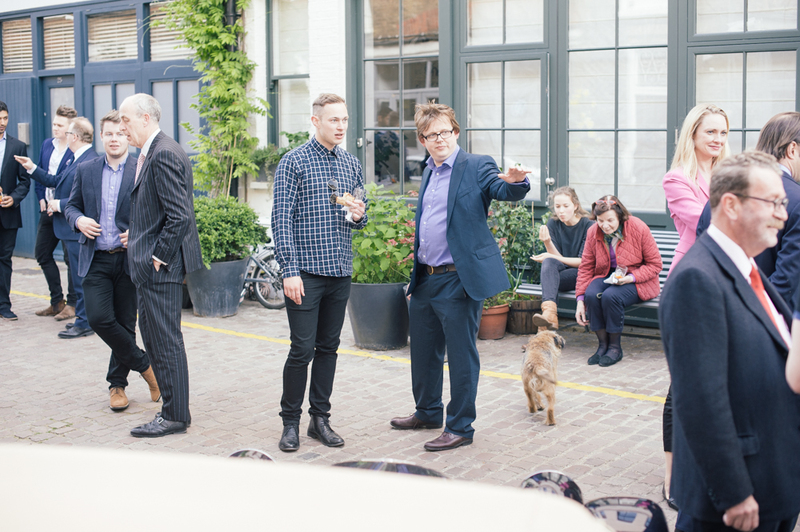 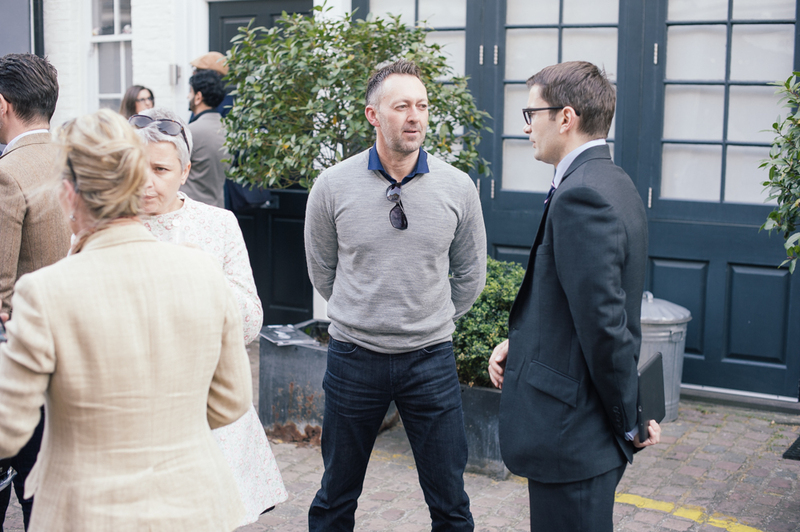 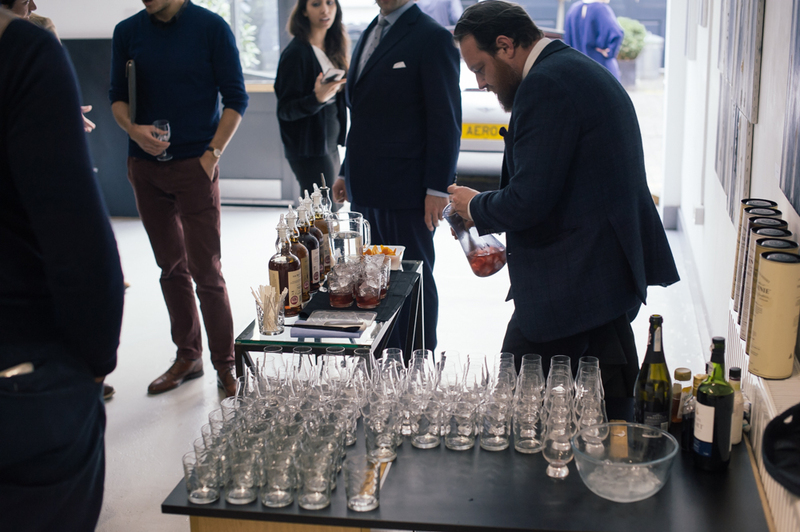 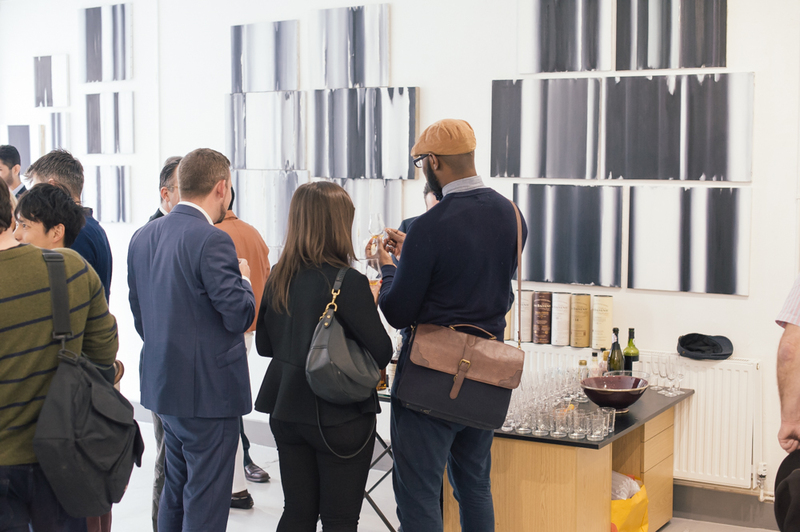 Morgan would like to thank Struthers London, Balvenie Whisky and London Morgan for their combined hospitality and for helping to host a fantastic event. 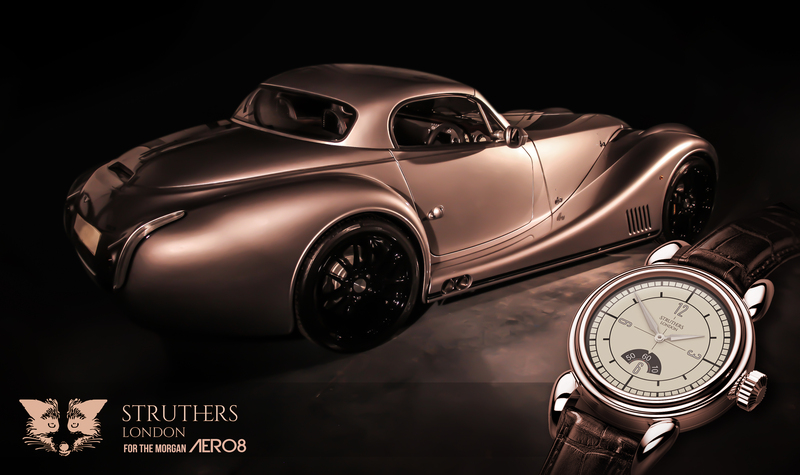 For more information on the Struthers Watch please click the link below.